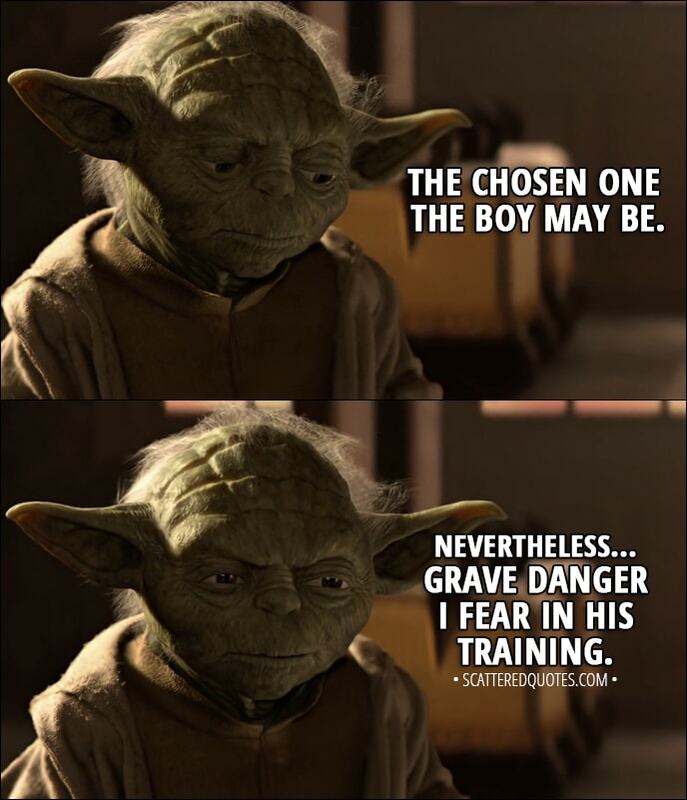 Yoda (about Anakin): The chosen one the boy may be. Nevertheless… grave danger I fear in his training. 10.1.2018 Grave danger I fear in his training.